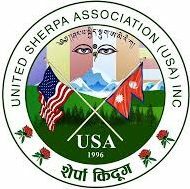 Disaster Relief – UNITED SHERPA ASSOCIATION (USA), INC. The Sherpa Kyidug has been responding major natural disasters, and calamities particularly in the remote and poor communities particularly in developing countries. As a charity organization, humanitarian efforts have always been the top most priority. The association had immediately responded the massive earthquake in Nepal in 2015 by raising more than $138K for the relief fund. The association has raised relief fund for the victims of Everest disaster in 2012.